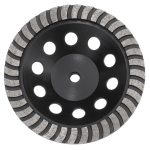 The Australian Saw Company services a broad spectrum of industries with the manufacture, supply and service of premium quality Austsaw cutting and levelling blade products. If you need EXTREME saw cutting, grinding, levelling or removal performance for your building, renovation or construction project, we’re here to deliver. At Austsaw, the perfect result means everything. 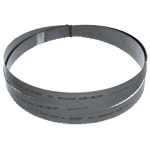 Circular Saw Blades, Lubricant (Aly-Lube), Bandsaw Blades, Panel Cutters, Diamond Cup Wheels for grinding, levelling and removal ... We've got the product for your material application. We make finding the right Cutting or Levelling product easy! 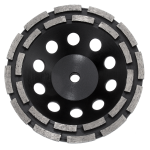 We are your complete source of premium saw cutting, grinding, levelling and removal blade technology products. Stockists include AIS, BJ Bearings, ByWise, Dahlsens, HBT, Home Hardware, Mitre10, Thomas Warburton, Thrifty-Link Hardware, Total Tools and Tradesmart retailers to name a few. Austsaw cutting and levelling blade products are available from thousands of stores Australia-wide. Australian Saw Company Pty Ltd - Manufacturer and Supplier of Austsaw Saw Cutting, Levelling, Grinding and Removal Technology Products. For use with Circular Saws. Designed to CUT: Cool Room Panelling Products - Sandwich Panel, Cold Room Panel, Freezer Panel and Thermal Panel. 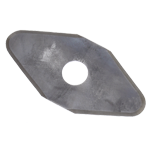 Developed for use on all aluminium saw blades and cutting of non-ferrrous metals.